The cool thing is that the participants signed up weeks in advance (I thought about trying to get tickets, and now I wish I had!) but the location of the dinner isn’t revealed to them until hours before it actually starts! All they’re told ahead of time is to bring food, table settings and dress all in white. The only thing that makes me glad I wasn’t there is the fact that when I eat while wearing white, I inevitably end up looking like a Jackson Pollock painting of food stains. So not chic. 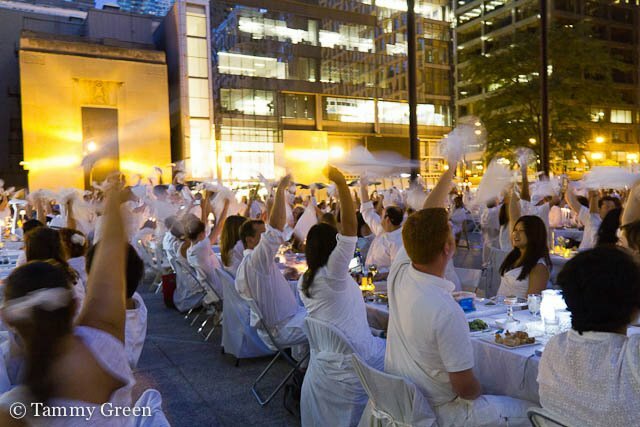 Photos from Diner en Blanc – Chicago’s Facebook page. 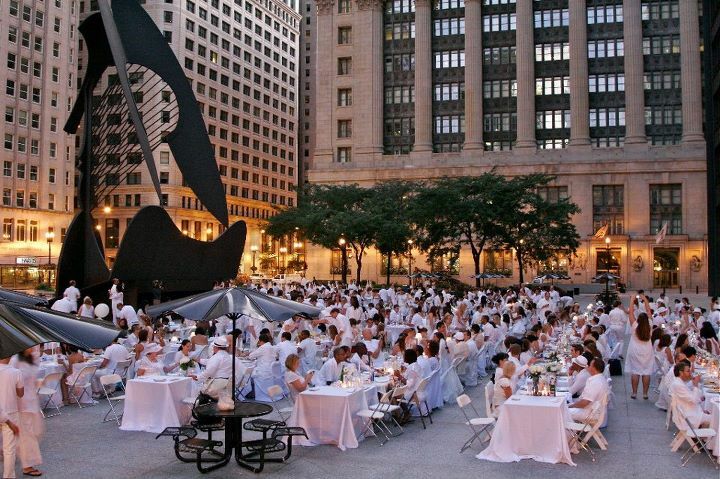 This entry was posted in My kind of town and tagged Carlie, Carlie Crash, Chicago, Diner en Blanc by carlieblissirwin. Bookmark the permalink.